The final flight of bankrupt german airline airberlin landed in the German capital on Friday evening, as the fate of thousands of employees of the stricken carrier remains unclear. 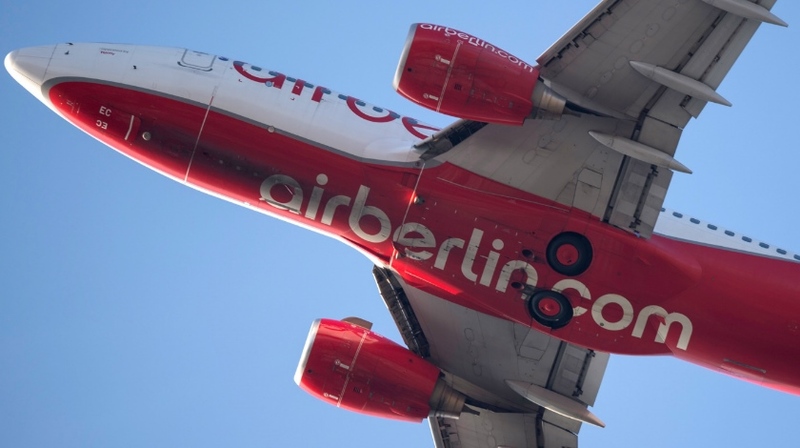 airberlin, which employs some 8,000 people, triggered bankruptcy proceedings in August after its biggest shareholder Etihad Airways pulled the plug on a cash lifeline following years of losses. The struggling airline was able to keep flying until now thanks to a €150 million bridging loan from the German government, giving it time to negotiate the sale of its assets. Lufthansa is taking the biggest chunk, buying 81 of the insolvent airline’s 144 aircraft. It also plans to hire up to 3,000 airberlin employees. easyJet has expanded its operations in Germany with the purchase of a part of airberlin‘s operations at Berlin Tegel airport, providing a solution for the bankrupt carrier’s remaining assets. The British carrier is expected to enter leases for 25 A320 aircraft, take additional take-off and landing slots, and hire new staff as part of its expansion in Germany. Originally registered as Air Berlin USA, the airline was founded in 1978 as a wholly owned subsidiary of Lelco, an American agricultural enterprise headquartered in Oregon, to operate charter flights on behalf of German tour operators from Berlin Tegel Airport, mostly to Mediterranean holiday resorts.